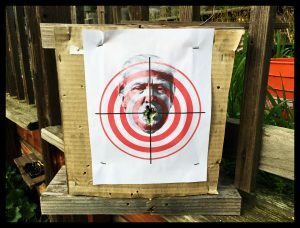 Have a Free Trump Target for practice shooting with your airgun, rifle, pistol or bow and arrow! This target is specifically for those who are convinced they need to Resist Trump. We understand that it’s been a frustrating election year. No matter, you can get your frustrations out by using President Trump as your Free Target and to do your thing to resist. He’s got a big mouth that says a lot of things that have little meaning or substance, and so we made his big fat yuge mouth the target. We decided to keep this target simple and straight forward. 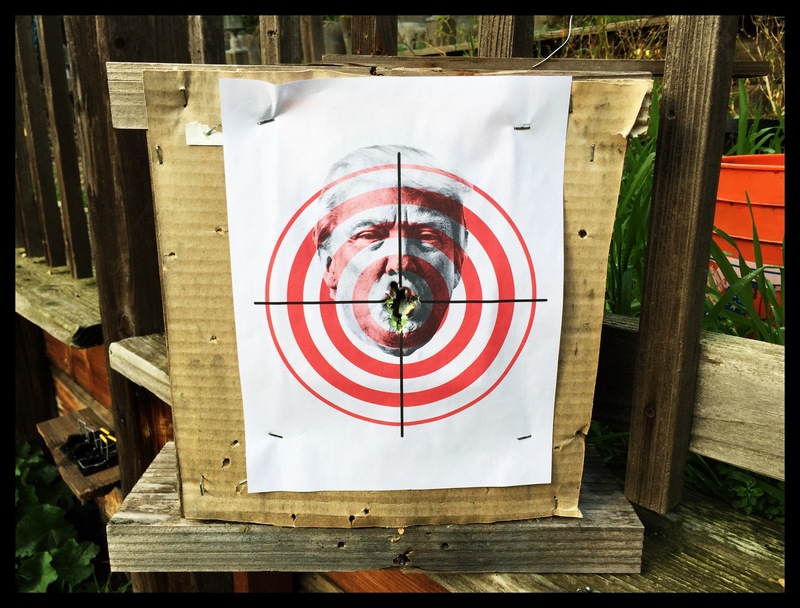 Right now we’re using this target in the backyard, stapled to our silent pellet trap, at a range of 33feet to about 30 yards. You can of course use it at any distance you are comfortable with. We might end up making some more targets from this image, and make them 4 up, and 8 up on a piece of 8 1/2 x 11 paper. 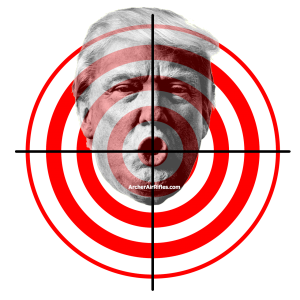 Keeping with the consideration that the web works best when folks share information and other stuff, we will keep this target Free, and you are free to distribute this Free Trump Target to all your friends and family. This is a Free Trump Target for those who are Resisting the Trump Presidency.